Economist Radio has a great new daily podcast, called The Intelligence. I made my first appearance today, with a mini-”profile” of me kicking off the main segment, on metaphors. It begins at about 17:00 here. Language commentaries will be an occasionally recurring feature in that third-and-final slot, but there’s so much other good stuff you really should just subscribe. The words of 2018 were not particularly enlightening or enjoyable, but talking with Anton LaGuardia (deputy foreign editor at The Economist) and Lynne Murphy (author of the excellent The Prodigal Tongue) certainly was. Our conversation appears thanks to Economist Radio. It was both a privilege and a great time to join my friend John McWhorter on his outstanding podcast, Slate’s Lexicon Valley, to talk about my book. John helped get me into this field with his own great books, and I owe him all kinds of debts. But more than anything, I just love talking to him, and I expect that that comes through here. Check it out. My latest column is on “uptalk” an vocal fry, and the generally unmeetable standards women’s voices are held to. While I admire the efforts of feminists like Lake Bell to tackle the problem at a short-term and practical level—telling women to deepen and in some ways masculinize their speech—the fact remains that women have to walk a tightrope when taking such advice: be authoritative but not mannish, firm but not angry, and so on. I had a great and wide-ranging conversation with Phillip Adams of Australia’s ABC radio on Talk on the Wild Side. Not all interviewers read your book, and who can blame them? Running a daily radio show is hard. But Phillip either did in detail, or is a masterful skimmer, as he really drew me out on, and challenged, some points in detail. Check it out. Simon Horobin's review of "Talk on the Wild Side"
My latest collaboration with Economist Films, “Why do languages die?”, is over on the brand-new video page. Check it out, alongside previous ones on American and British English, sexism in language and where cuss-words come from. 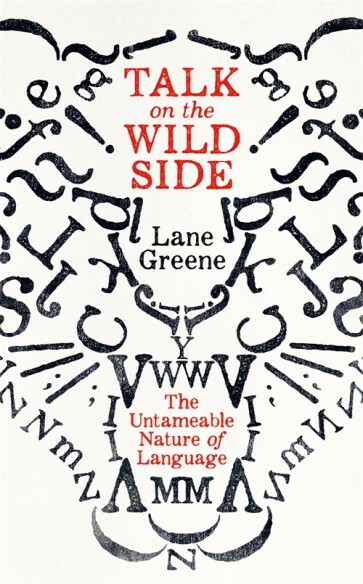 Kirkus review: "Erudite and ebullient"
Welcome to the new lanegreene.com. I'll announce book news, post videos, and share other information about my work here.